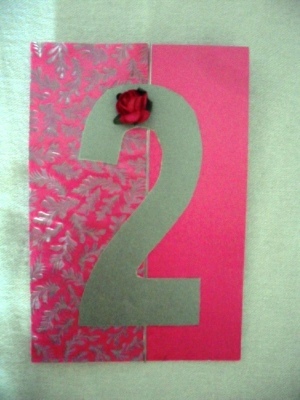 A handcrafted cerise silver pink wedding table number featuring cerise pink pearlescent card with a cerise pink and silver patterend side border finished off with a silver trim, cerise pink rose and silver table number, decorated the same on both sides,. A sample is available. other matching wedding stationery is also available, just contact me through this web-site for further details.